He currently leads a large, expert team of real estate professionals that are committed to providing the highest level of service to Elite's national and international Bank clients, to its Mortgage Servicing clients as well as to its wealthy Private clients and Celebrity clients. From the initial property inspection, to the closing, Mr. Benjamin and his team will manage all of your Investor or REO disposition needs - from the client's perspective. Victor's extensive experience as a previous REO Department bank executive provides his team with the client-side perspective on every asset. Time is of the essence in managing and selling REO properties and your Southern California assets will receive the highest level of professional focus and attention. Mr. Benjamin served as the Western Region Commercial REO Portfolio Manager for the Resolution Trust Corporation ("RTC") at the Lincoln Savings headquarters in Phoenix, Arizona during the 90's. While there, he supervised the successful disposition of over $250 Million in highly complex commercial and residential properties. He then served for ten years as the National Real Estate Director of the Commercial & Residential REO Departments at California Federal Bank in Los Angeles, California where he had full oversight responsibilities, and delegated authority, to manage the successful disposition of over $2 Billion in bank-owned real estate assets. 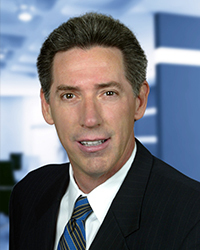 Over the years, Mr. Benjamin has served as a keynote speaker and panel member for countless REO seminars and conventions hosted by the Mortgage Bankers Association ("MBA"), the California Mortgage Bankers Association ("CMBA"), and the REO Manager's Association ("REOMAC").